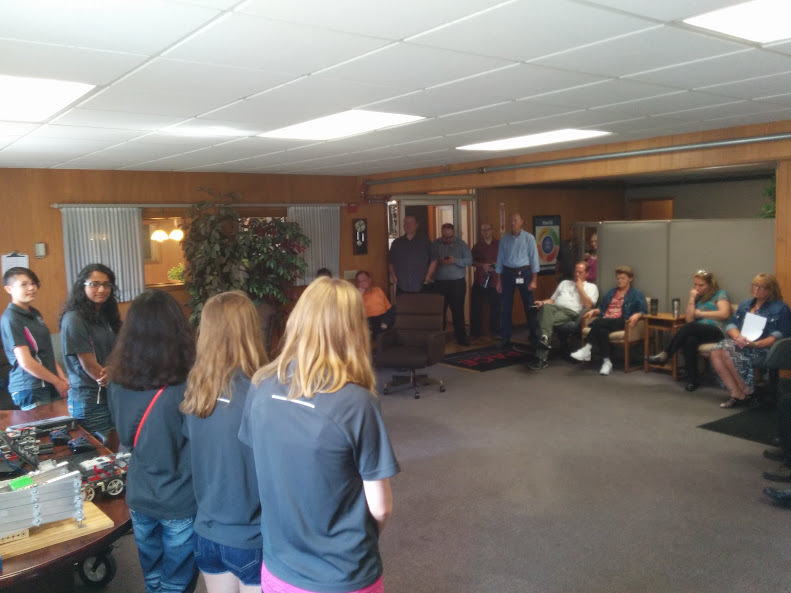 To thank Pace Industries (a local die casting company) for their generous donation, we offered them a demo in their office. The day before, we spent an hour and a half planning how to get our ideas across and show the employees what we do. We ended the meeting with a long bullet-point list of notes and a general idea of who was saying what. The next day, we met bright and early at the coach’s house and headed out to the Pace Industries building. We were greeted with a table of snacks and friendly smiles. 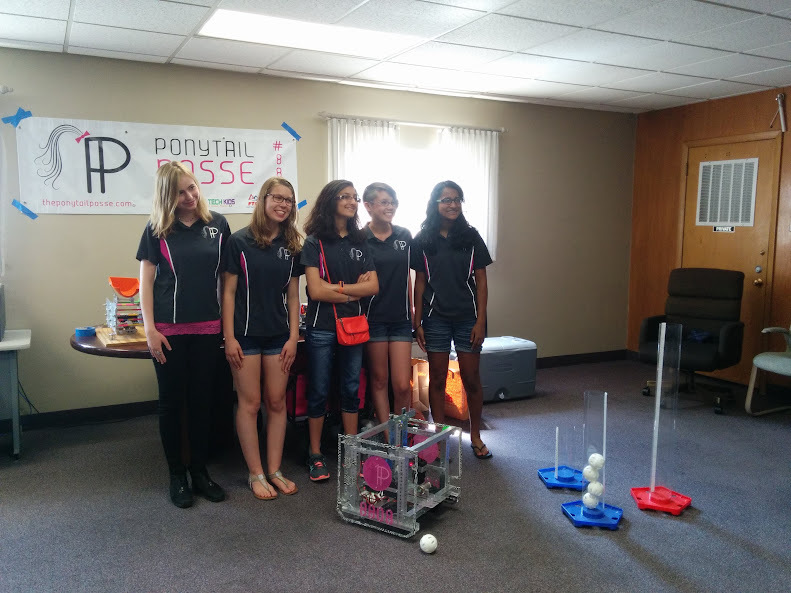 After setting up, our coach briefly reviewed what Pace Industries does and gave us the stage. 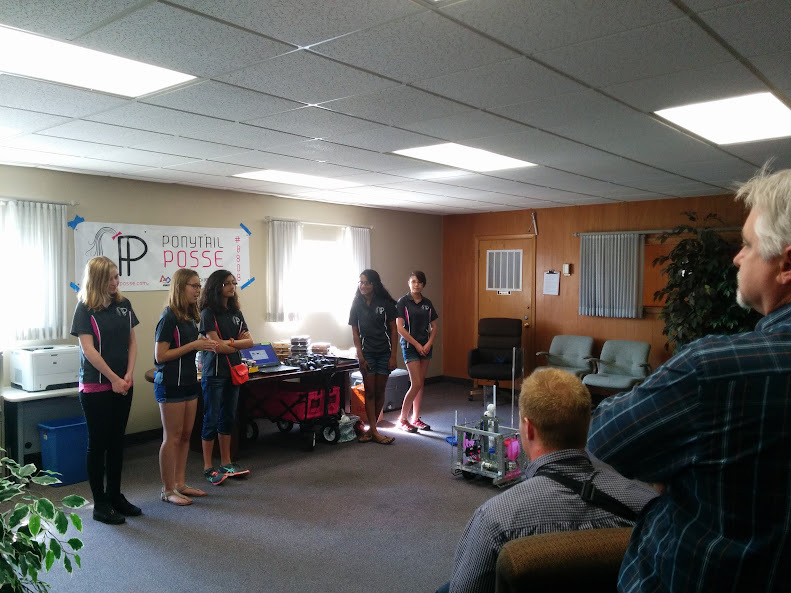 Over the next 20 minutes, we gave an overview of FIRST, the four programs within the organization, and a detailed description of FTC. We also explained what we’ve learned over the years and how much FIRST has affected our lives. Best of all, when we hinted that FIRST was always looking for volunteers, a few audience members seemed interested in visiting tournaments and even chipping in their own time to help. The purpose of this demo was to spread the word about FIRST and say thank you to Pace Industries. As we gave our presentation, we achieved both of these things by telling them about the organization and emphasizing how much we appreciate their support. We really enjoyed hearing about how the program works and how schools are getting students involved in fun education. All of you girls did a great job explaining the program and you could tell you were prepared for the presentation. We learned a lot and didn’t realize the cost of one of the robots. We wish all of you good luck in your competitions. 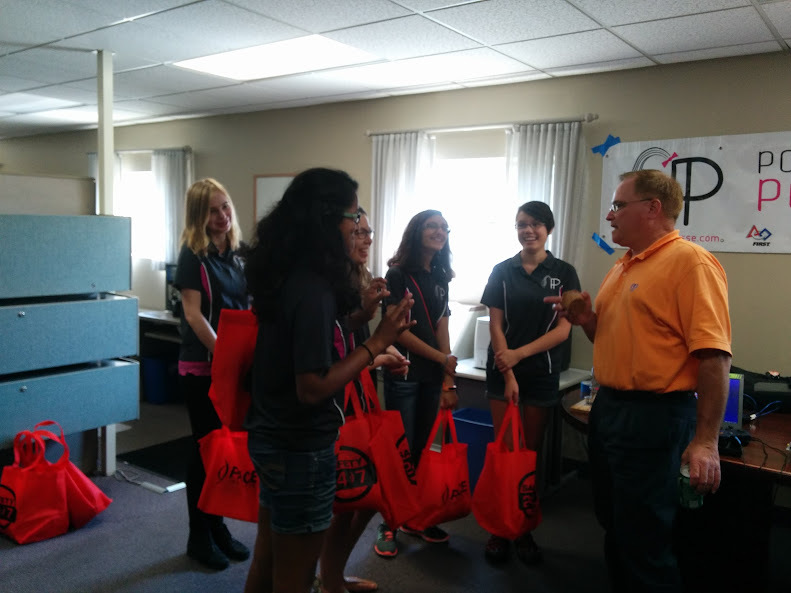 We hope to employ one of you ladies once you become engineers! 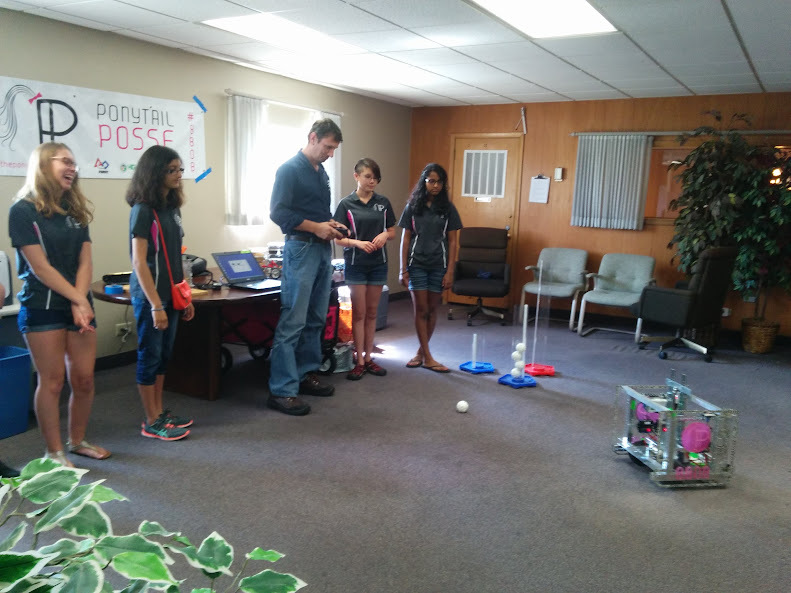 Thank you for taking time from your summer schedule to share your robot demo with us. Your team has accomplished a lot in a short period of time. Awesome presentation – best of luck on your upcoming competitions!